School Car wash fundraisers are great way for schools to raise extra funds, you can ask parents and carers to bring their cars into your school and your pupils can wash their cars for a small cost, making money for your school in the process. Car Washes are easy to organise, they can be setup quickly with a limited amount of effort, you couldn’t ask for a simpler school fundraising ideas, you could organise your students into teams, have a team organising the promotion of your event, maybe designing, car wash fundraising leaflets and posters, organise a team in charge of washing cars and maybe another school team to dry the cars. The key to a successful school fundraising car wash is the weather, choose a time of year that is appropriate, spring or summer is an ideal time to arrange your school car wash fundraiser, when the sun is shining your pupils won’t mind getting wet whilst washing the cars. If you have the space you could even arrange your school car wash at the same time as a school fair, two school fundraising events at the same time. Easy to organise, just need sponges, buckets and water, school car washing is a fun way to raise extra money. 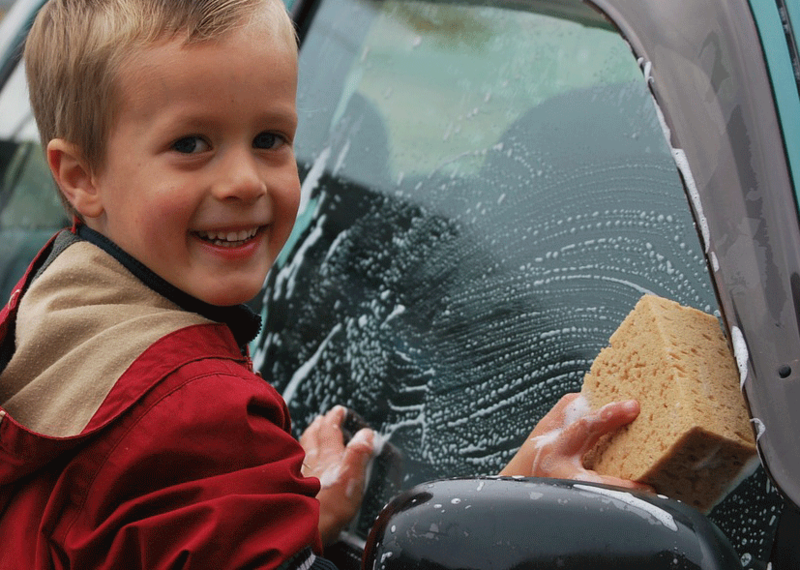 Kids love to get wet so they will eagerly help out in your school car wash fundraiser.